South Dakota had started to close the K-12 spending gap with neighboring states before the state budget cuts in 2011. South Dakota had begun to narrow the education spending gap with its neighbors at the start of this decade, but state budget cuts in 2011 widened the difference and the gap has continued to grow in recent years, a South Dakota Dashboard analysis of federal data shows. That gap was the smallest in 2008 and grew to its widest disparity in the five-year period by 2013, the most recent year for which data measuring all the states is available. The federal data measures state and school district revenue and spending between 2008 and 2013, including revenue from the federal, state and local levels. It shows that South Dakota had increased per-student spending in 2008 and 2009 and was on track to almost catch up with the pack by 2013. The next lowest spender in the region, Iowa, held mostly steady between 2009 and 2010 while South Dakota increased per-student spending by 4.1 percent. From 2010 to 2011 Iowa registered only a 0.4 percent increase, but South Dakota cut 0.6 percent and fell further behind. Had South Dakota continued making 4.1 percent increases each year, the state would have reached 97 percent of Iowa's per-student spending by 2013. Instead, the cuts left South Dakota's per-student spending at 82 percent of Iowa's in 2013, compared to 90 percent in 2008 and 91 percent in 2010. Neighboring states have, in some cases, suffered modest cuts or temporary stagnation during the five-year period, but the overwhelming regional trend is continued increases in K-12 per-student spending, as the chart shows. 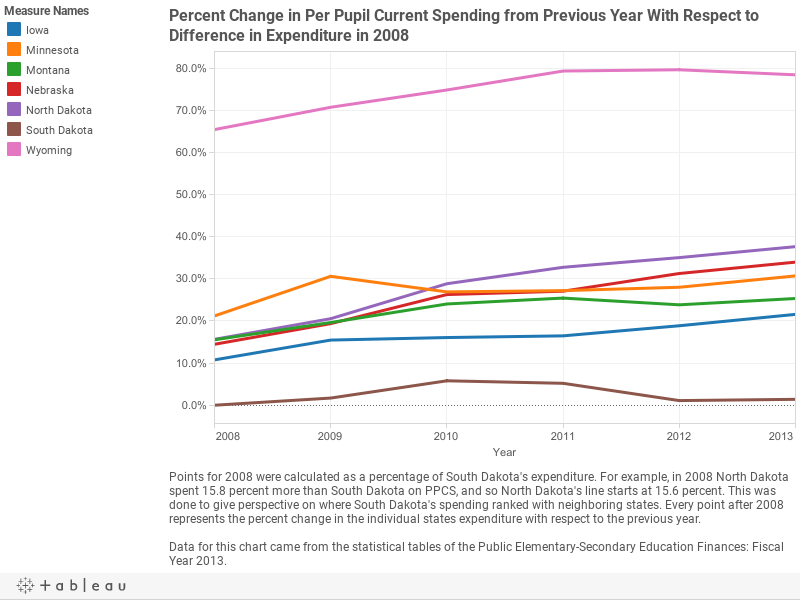 South Dakota has countered this trend and by 2013 had not returned to spending levels the preceded the 2011 across-the-board budget cuts that precipitated the drop in education spending. In 2013, South Dakota's K-12 spending had ticked past its 2008 level of $8,367, but had not yet reached the five-year high of 2010 ($8,858). This look at K-12 spending in South Dakota and surrounding states is the third in a series of reports highlighting data specific to education prepared by the South Dakota Dashboard and the Black Hills Knowledge Network. The series will examine what the available data shows about education funding, practices and achievements both statewide and in individual school districts.  To view other segments, see our Education Data Series Archive.